SK Biopharmaceuticals Co., an affiliate of South Korea’s SK Group, said Thursday that the U.S. Food and Drug Administration (FDA) has initiated a reviewing process for its cenobamate, a novel drug to treat epilepsy. The FDA has accepted New Drug Application (NDA) for cenobamate that SK Biopharmaceuticals filed for in November, the company said, expecting that it would obtain the final approval on Nov. 21 after a 10-month review period under the Prescription Drug User Fee Act. Cenobamate is the novel drug independently developed by a Korean company and filed with the FDA without a typical out-licensing deal with a foreign partner. Once it is cleared for sale in the U.S., follow-ups for commercialization will also be done on its own via the local unit SK Life Science, it added. 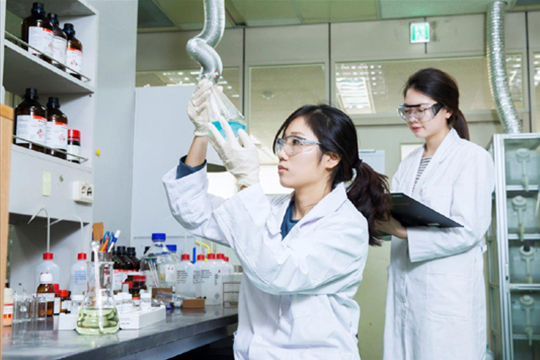 The Korean pharmaceutical company has conducted clinical trials of cenobamate on more than 1,900 patients to evaluate its efficacy and safety, it said. The investigational antiepileptic drug is aimed to treat partial-onset seizures in adult patients. Epilepsy is a chronic central nervous disorder in which brain activity becomes abnormal, causing seizures or periods of unusual behavior, sensations, and sometimes loss of awareness. It is a devastating disease with high unmet medical need, and patients are eagerly awaiting a new treatment option, the company explained. According to market research firm Global Data, the worldwide epilepsy therapy market is estimated to grow to $6.8 billion in 2022, a 12 percent rise from 2018. SK Biopharmaceuticals has made efforts to develop and sell the new drug for about a decade with an aim to become a global name in the pharmaceutical industry.